Pantry Featured on Krista Colvin's Blog - Spaces Streamlined Home Staging, Styling and Organizing Gig Harbor, Tacoma and surrounding areas. 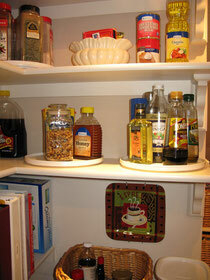 My organized home pantry featured on Professional Organizer Krista Colvin's blog- thanks Krista! Check it out for pictures and ideas for your own pantry.